Design has a tremendous capacity to help create sustainable, resilient, and healthy communities. With more than two billion people poised to move to global cities by 2050, the demand for new buildings will rise, and the way we design, build, and operate them will be one of the determining factors in our global efforts to address climate change. Here are the trends that Gensler designers and architects are focused on in the coming year to help our clients create and manage high-performance, sustainable buildings. Climate resilience — the capacity to adapt to change or spring back from disaster — is one of the most pressing challenges cities face. It is also our greatest opportunity. Meeting the challenge demands new strategies. Sharing data publicly is the first step in this direction — reporting pollution levels, for example, or documenting climate change so that we can improve our impact. Data helps us with the diagnosis. To respond, design will adopt a tactical, interdisciplinary approach that yields holistic reductions in climate impact. According to the McKinsey Global Institute, the 600 largest cities generate 60 percent of global GDP every year. Almost 40 percent of GDP comes out of the built environment alone. 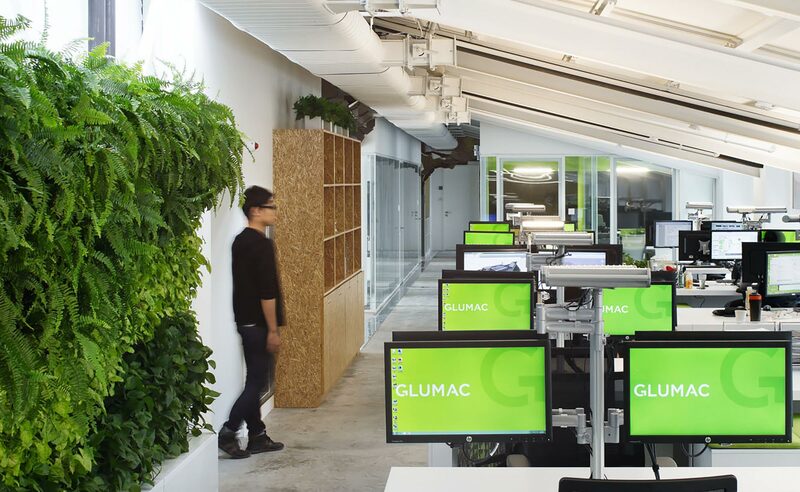 Glumac's Shanghai office was completed with a zero-carbon footprint and was certified as Asia’s first Living Building Challenge (LBC) project and achieved LEED v4 Platinum certification. Changing weather patterns and the anticipation of global seawater rise are affecting how we plan sustainable places. Cities will be the most impacted by the weather events, migration, and resource scarcity projected for this century. Working together, policy and design can anchor city planning in resilience, which includes dimensions of security, culture, and behavioral change to measure how prepared a city is to bounce back from challenges. 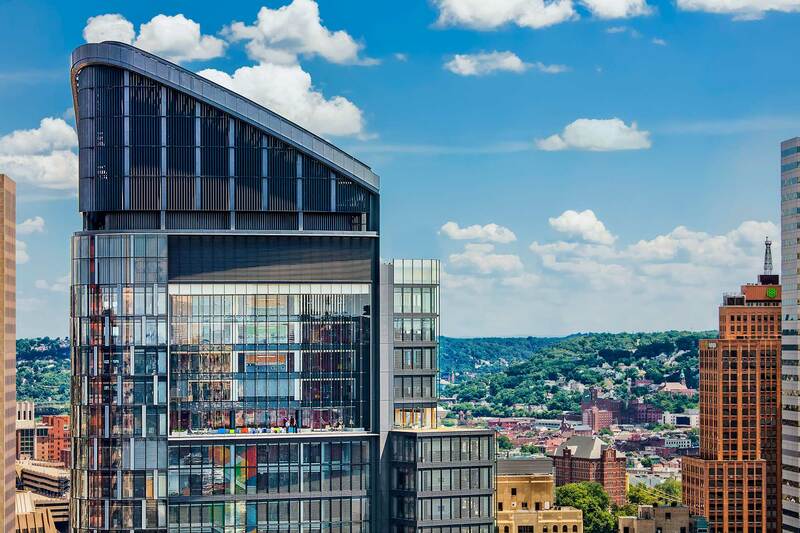 From its one-of-a-kind, breathable double skin to its innovative workplace strategy, the LEED Platinum-certified tower drives building performance to new levels. The UN Environment, Global Status Report 2017 states that over the next 40 years the world will face a demand for building over 2.5 trillion square feet of new space — or equivalent to a new New York City every month for the same amount of time. At this scale, we need to address everything from operational energy and the materials we choose, to how people travel and where we decide to build. Globally, it is important to minimize the impact of this growth, while maximizing its performance and the quality of human experience. As designers of the human environment, we can be part of the solution to put carbon where it belongs and not where its superabundance can create real challenges. Nearly half of greenhouse gas emissions comes from the built environment. We cannot address climate change without putting the built environment at the center of the conversation. 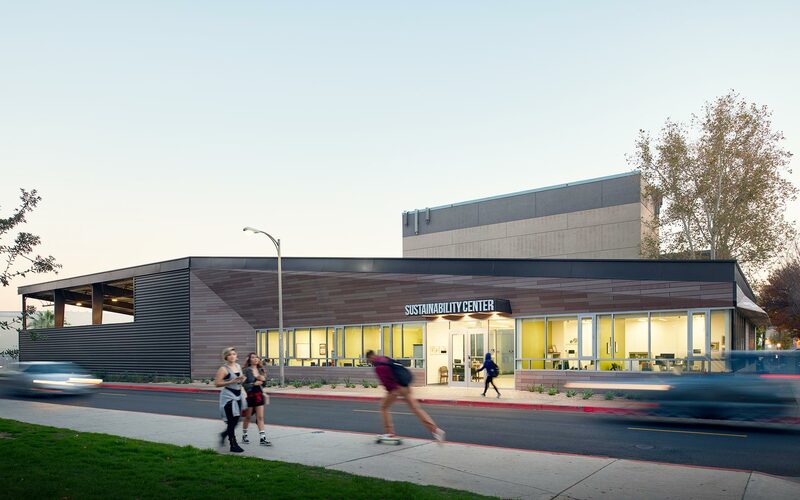 In both design and construction, the building itself highlights the recycling and sustainability education efforts housed within. Our world is dramatically more urban than it used to be. By mid-century, our urban areas will account for more than three-quarters of the world’s population. As a result, and as the world continues to reckon with the reality of climate change, our understanding of “preferred situations” is shifting dramatically. People spend more than 90 percent of their time indoors. The design of buildings and how we use them have significant effects on people’s health and wellness, from natural light and air quality to how active our lifestyles are. In many ways, this is good news. Compared to rural and suburban communities, cities are far more efficient with resources, and their residents are healthier. The ecological footprint and obesity rates for American city-dwellers are less than half the national averages. Cities are also the driving force behind the world’s economies, delivering not only resource and health benefits, but also improved opportunity and prosperity. 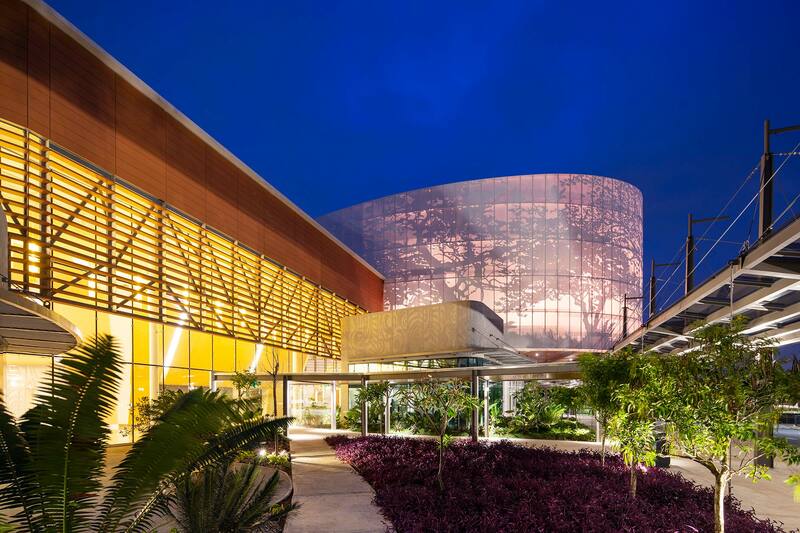 Costa Rica’s first convention center is a much-needed amenity in a country that pioneered eco-tourism. This 15,000-square-meter facility doesn’t just preach sustainability; it practices it. As the world continues to cluster into urban areas, we have an opportunity to rethink the built environment with an eye toward resilience and preservation. In fact, rethinking the built environment and finding ways to better integrate our buildings and cities with the natural world is the single smartest way to address today’s most urgent challenges. 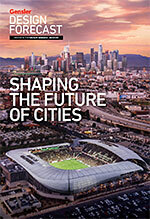 Impact by Design is Gensler’s annual publication analyzing the sustainable performance of our work. In it, we provide a comprehensive look at the energy performance and the carbon impact of more than one billion square feet of our design work. It is a broad analysis of how new innovations in design, engineering, and technology are improving the sustainable footprint of the global built environment.